Funky Furniture. Mattresses and Timber furniture specialists. Funky Furniture now specialises in mattresses thru our sister business Mattresses Direct to Public. 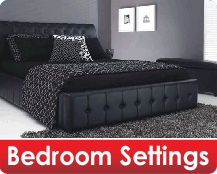 We still have bedroom Settings and bed heads so please be sure to stop by for great deals. We have some of the best mattresses deals in Melbourne and as Funky customers always know that we look after our clients with over 10 years of client satisfaction. Or stop by our Melbourne showroom in Kilsyth! We look forward to seeing you.